Open the Project View in Balsamiq and click on the "Launch Prototype"-Button. Make sure to copy the URL of your browsers' address bar. Change to Frontify and open the Project View in Frontify. Click on the "Import"-Button. 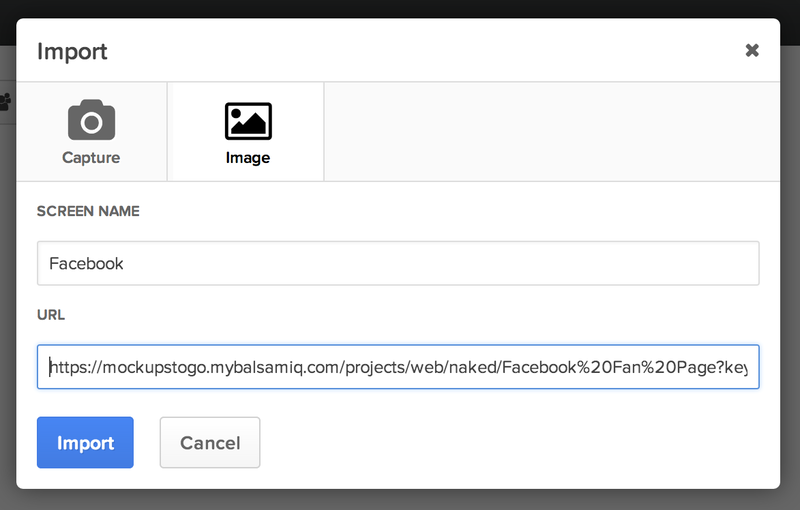 Switch to the "Image"-Tab and Paste the URL you copied before into the "URL"-Entry Field. 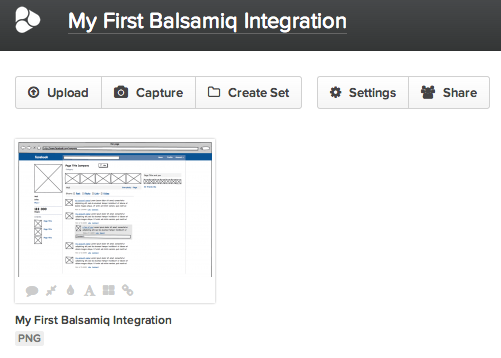 Click on the "Import"-Button to get the image of your Balsamiq prototype. Additionally you might want to enter a name. 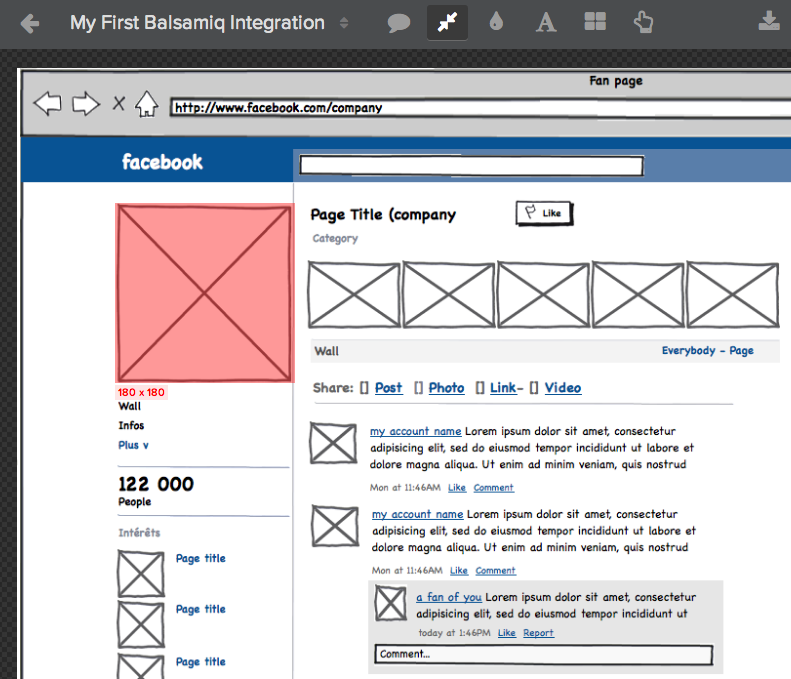 The result is a small preview of your Balsamiq Prototype in your Frontify Project View. Click on it in order to discuss or specify your mockup in Frontify. Once you've done the design based on your wireframe, you can just replace the wireframe with the real design and you won't loose any information on it. Frontify is a place where clients, designers and coders become friends. Hassle free design feedback will save you and your team valuable project time and reduce the cross-team confusion. - Get Started with Frontify - it's free!